Vaccinations: make sure your horse is up to date. 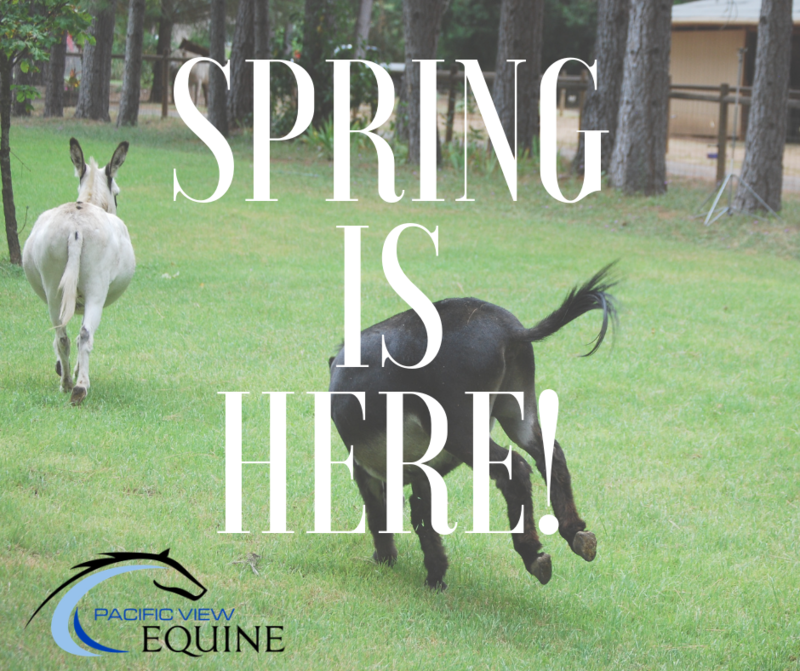 Vaccinations traditionally due in the spring: Eastern Equine Encephalitis/Western Equine Encephalitis, Tetanus and West Nile are given annually. Influenza and Equine Herpes Virus (Rhinopneumonitis), are administered every 6 months. Exam: Want to get out and enjoy those trails? Make sure your horse is ready! Address any health changes with your vet, before they become a problem. Human Trail/Barn Kit: Yes, we need one too! Unexpected things can and do happen. Don’t have one? A small portable kit attaches easily to saddle or fits nicely in a “fanny pack”. Barn and Stall Safety Check: Check enclosures for nails, loose boards, and possible hazards. Check for new plant growth and trim over hanging branches, vines, and pull weeds.